"Wine & Spirits Magazine" has rated the wine "Le Macchiole 'Paleo' Bolgheri, Tuscany, Italy" from the vintage 2013 on 01.04.2017 with 95 of 100 points. "Luca Gardini" has rated the wine "Le Macchiole 'Paleo' Bolgheri, Tuscany, Italy" from the vintage 2013 on 01.11.2016 with 93 of 100 points. "Wine Spectator" has rated the wine "Le Macchiole 'Paleo' Bolgheri, Tuscany, Italy" from the vintage 2012 on 31.08.2016 with 93 of 100 points. "Wine & Spirits Magazine" has rated the wine "Le Macchiole 'Paleo' Bolgheri, Tuscany, Italy" from the vintage 2012 on 01.04.2016 with 93 of 100 points. "Robert Parker The Wine Advocate" has rated the wine "Le Macchiole 'Paleo' Bolgheri, Tuscany, Italy" from the vintage 2001 on 29.01.2016 with 97 of 100 points. "Wine Spectator" has rated the wine "Le Macchiole 'Paleo' Bolgheri, Tuscany, Italy" from the vintage 2011 on 31.07.2015 with 94 of 100 points. "Luca Gardini" has rated the wine "Le Macchiole 'Paleo' Bolgheri, Tuscany, Italy" from the vintage 2011 on 01.07.2015 with 99 of 100 points. "Wine & Spirits Magazine" has rated the wine "Le Macchiole 'Paleo' Bolgheri, Tuscany, Italy" from the vintage 2011 on 01.04.2015 with 94 of 100 points. "Wine Enthusiast" has rated the wine "Le Macchiole 'Paleo' Bolgheri, Tuscany, Italy" from the vintage 2011 on 08.01.2015 with 92 of 100 points. "Robert Parker The Wine Advocate" has rated the wine "Le Macchiole 'Paleo' Bolgheri, Tuscany, Italy" from the vintage 2011 on 31.10.2014 with 95 of 100 points. "Luca Gardini" has rated the wine "Le Macchiole 'Paleo' Bolgheri, Tuscany, Italy" from the vintage 2010 on 01.07.2014 with 98 of 100 points. "Wine Spectator" has rated the wine "Le Macchiole 'Paleo' Bolgheri, Tuscany, Italy" from the vintage 2010 on 30.04.2014 with 93 of 100 points. "Vinous Antonio Galloni" has rated the wine "Le Macchiole 'Paleo' Bolgheri, Tuscany, Italy" from the vintage 2001 on 01.04.2014 with 98 of 100 points. "Vinous Antonio Galloni" has rated the wine "Le Macchiole 'Paleo' Bolgheri, Tuscany, Italy" from the vintage 2010 on 01.04.2014 with 97 of 100 points. 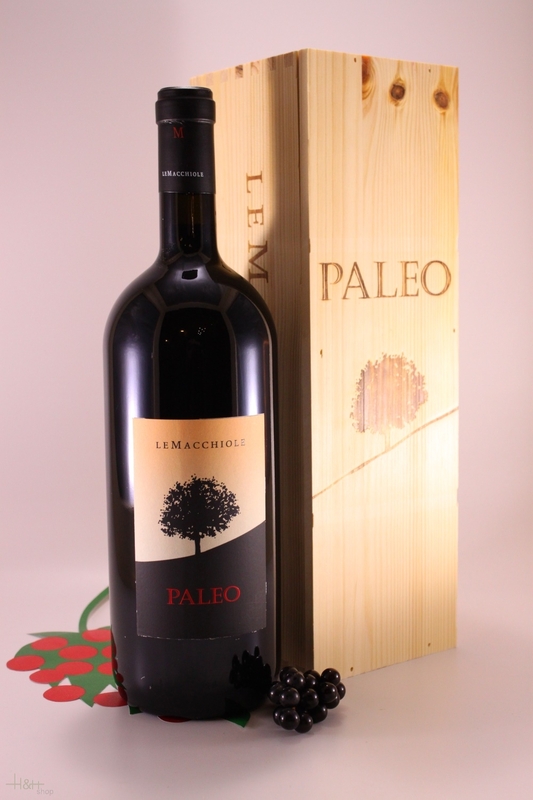 "Wine & Spirits Magazine" has rated the wine "Le Macchiole 'Paleo' Bolgheri, Tuscany, Italy" from the vintage 2010 on 01.04.2014 with 93 of 100 points. Buy now this product together with Ron Zacapa Centenario 30 ANIVERSARIO Riedel Set - Old Edition 40,00 % 0.7 l.
ready for shipment: in ca. 5 days Ron Zacapa Centenario 30 ANIVERSARIO Riedel Set - Old Edition 40,00 % 0.7 l.